Dr. Blicher is a native of the Washington, DC area. He earned a Bachelor of Science degree from the University of Maryland in College Park and his D.D.S. degree from the University of Maryland, School of Dentistry in Baltimore. After dental school, Dr. Blicher served as a Captain in the U.S. Air Force, practicing dentistry at the Wright-Patterson Air Force Base in Dayton, Ohio. He has been in private practice at his K Street location for over 20 years. Dr. Blicher is an active member of the District of Columbia Dental Society, the American Dental Association, the Academy of General Dentistry, the Academy of Dental Sleep Medicine, the Maimonides Dental Society, the Diving Dentists Society and the Renaissance Dental Study Club. 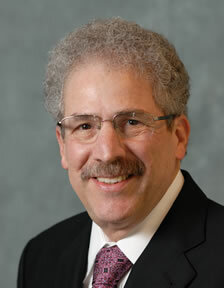 Dr. Blicher is a past president of the District of Columbia Dental Society and is currently the Vice President of the DC Academy of General Dentistry. He has been awarded fellowships in the Academy of General Dentistry, the Academy of Dentistry International, the American College of Dentists, the International College of Dentists, and the Pierre Fauchard Academy and is a dental products evaluator for Clinical Research Associates. Dr. Blicher was honored to be voted as a "Top Dentist" in the last five surveys of dentists by the Washingtonian magazine, and was listed as a "Top Rated Dentist" in the Washington Consumers' Checkbook Magazine. Dr. Blicher is happily married to Emily Green-Blicher and has two children, Gabrielle and Brian. His hobbies include scuba diving, photography, golf, bike riding, and cruising around in his 1965 Mustang convertible.